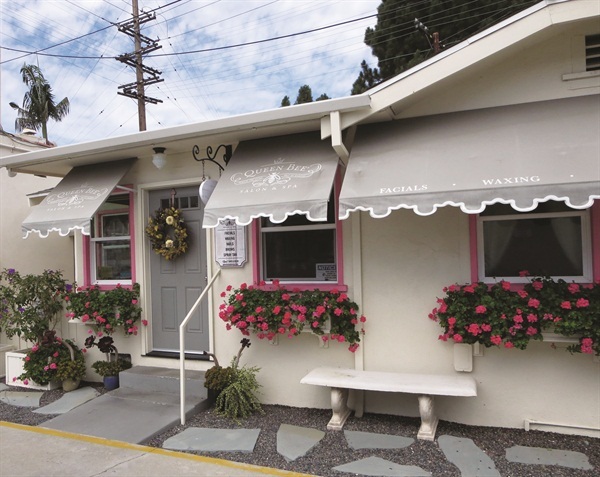 Housed in vintage bungalows and cottages, these unique salons thrive as cozy idylls where clients are peacefully pampered. The following four salons share one thing in common: history. From a mermaid-themed Nantucket cottage to a “haunted” California bungalow, these salons invite clients to step into the past for a charming, vintage experience. 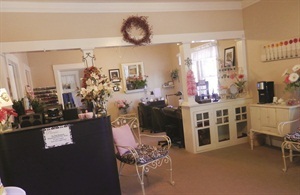 Organic Hair Salon & Nail Spa, Nantucket, Mass. Enchanté Cottage Spa, Solvang, Calif.
Lush gardens surround this quaint country cottage located in the heart of California’s Central Coast wine country. The town of Solvang was originally settled by a largely Danish community, and the cottage — built in the early 1930s — is modeled after homes from Denmark that have pointed ceilings and painted ceiling beams. 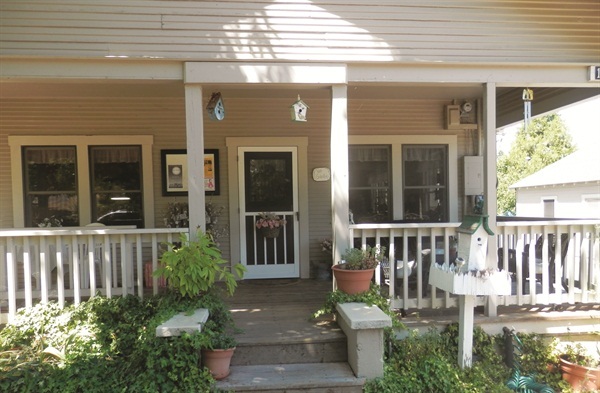 According to salon owner Debbie Paxton, the cottage features the original fireplace, hardwood floors, stucco walls, tiles, window panes, and vintage bathroom and kitchen fixtures. Queen Bee Salon & Spa, Culver City, Calif. Owner and founder Jodi Shays owns two other Queen Bee locations (Brentwood, Calif. and Seattle), but the Culver City salon is special: It’s inhabited by a friendly ghost! The Inn Salon, Pine Grove, Calif. Catalog Home, a popular mail order kit house sold by Sears, Roebuck and Company between 1908 and 1940. These kits, which included most of the materials needed to build a house, were shipped via railroad boxcars, and once delivered, assembled by the new homeowner. Evans says her biggest challenge is that the house has some age-related issues, but its charm outweighs the inconveniences. One of the interesting points of the shop is the windows: They have the original rope sash cord, and some of them have wavy glass. 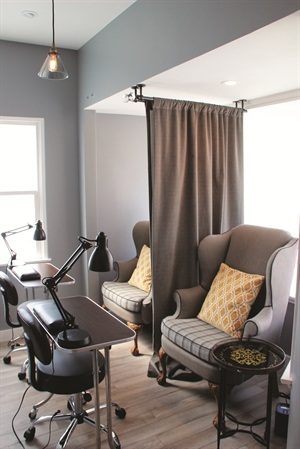 The original built-in cabinets in the living room and dining room areas serve as storage and display in the reception and manicure areas, and the back porch, which was enclosed many years ago, is now the pedicure room.